The update of Chanel window display is one that I always wait every 3 months. 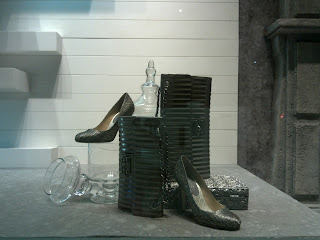 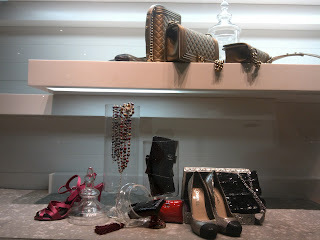 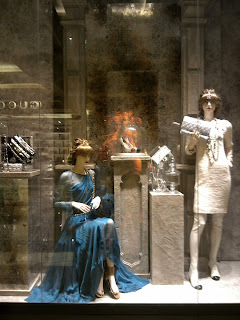 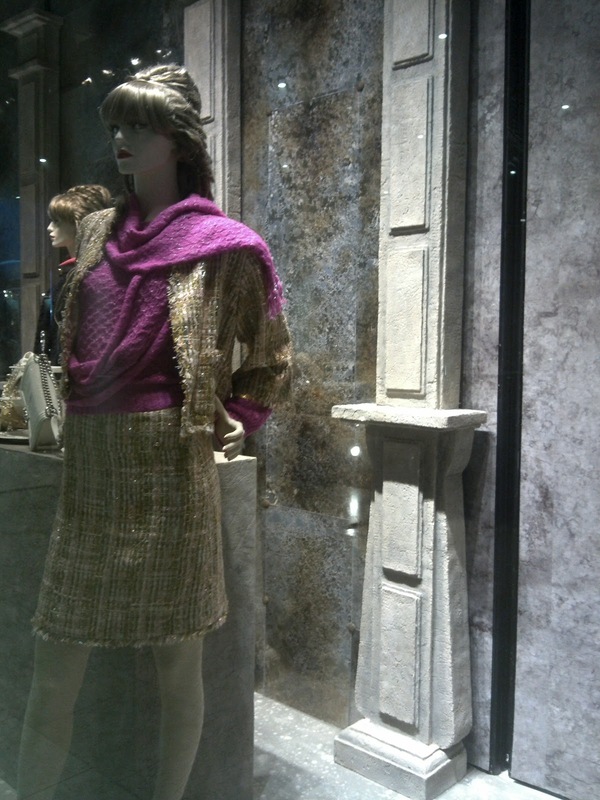 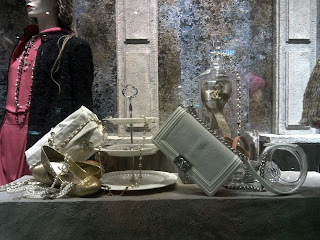 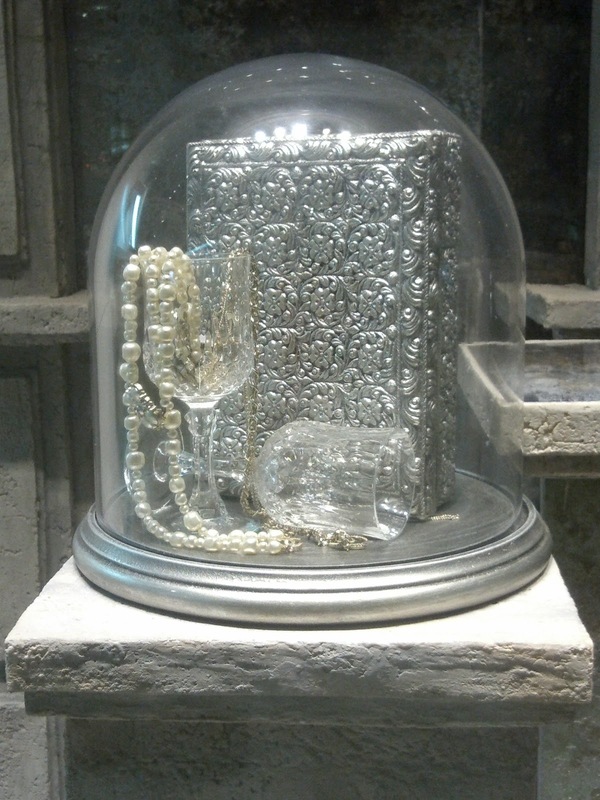 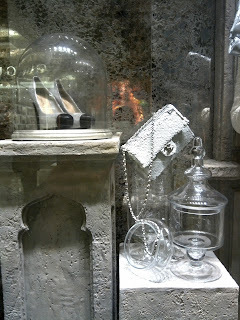 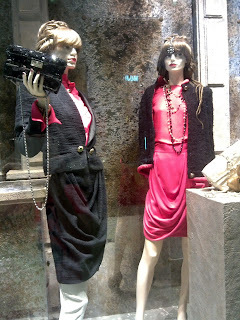 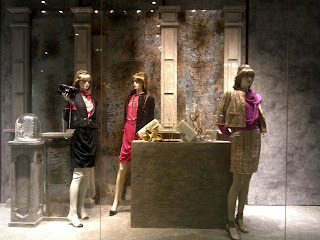 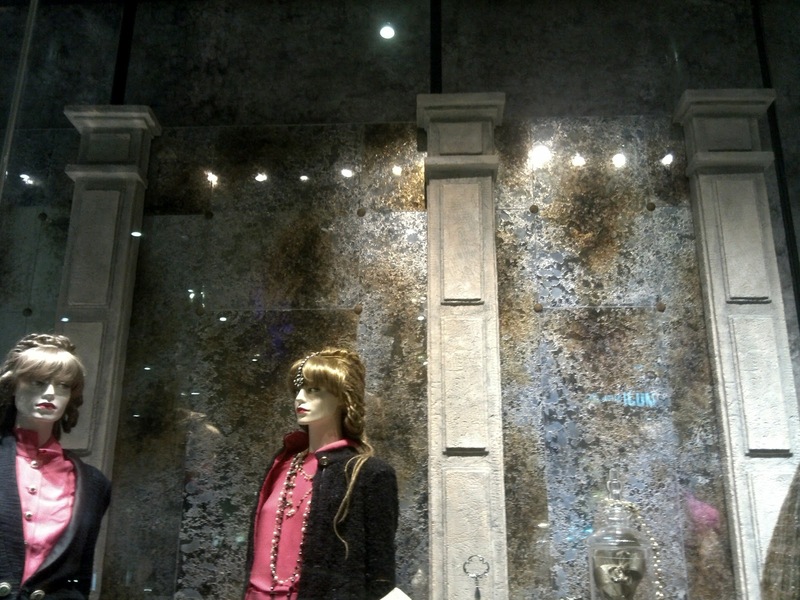 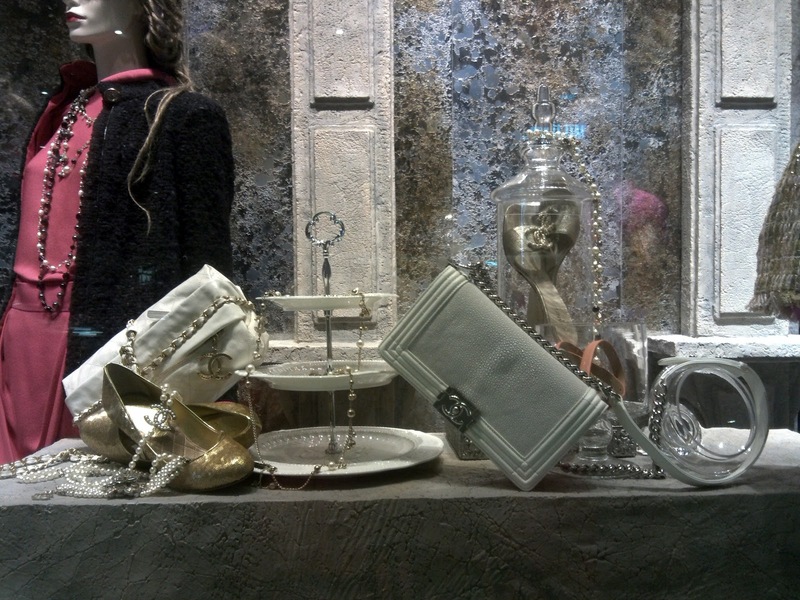 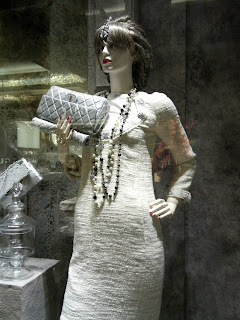 The latest one is the Chanel pre-Fall 2012 or Metiers d'Art Paris- Bombay collection window display. 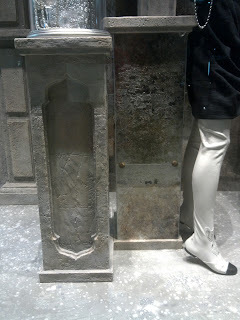 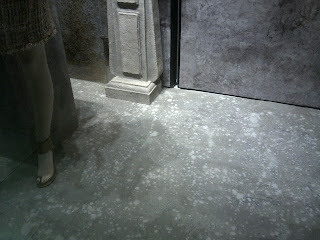 There are grey walls and pillars also 'caramelized' mirrors that look like they already been built centuries ago. 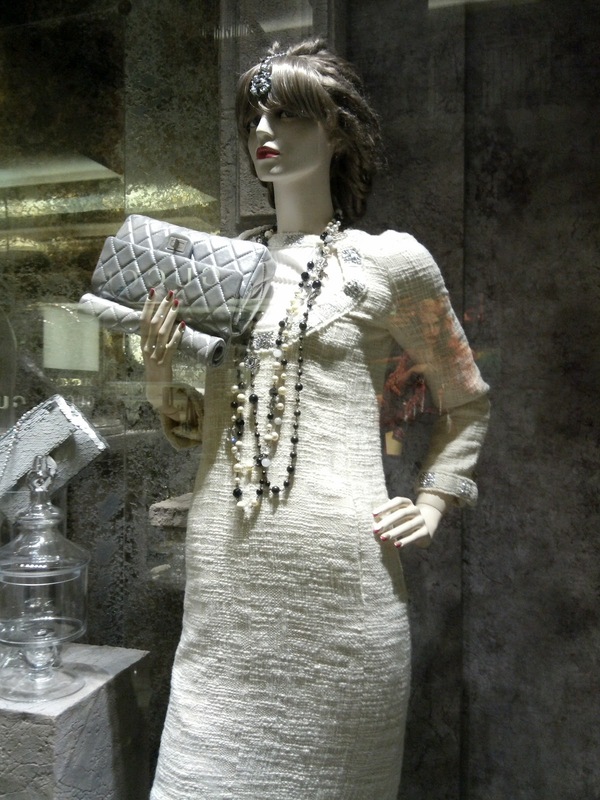 In the center of the main window, a table full with Chanel bags and accessories also jewelries, spread out like they are foods and cakes for the maharaja. 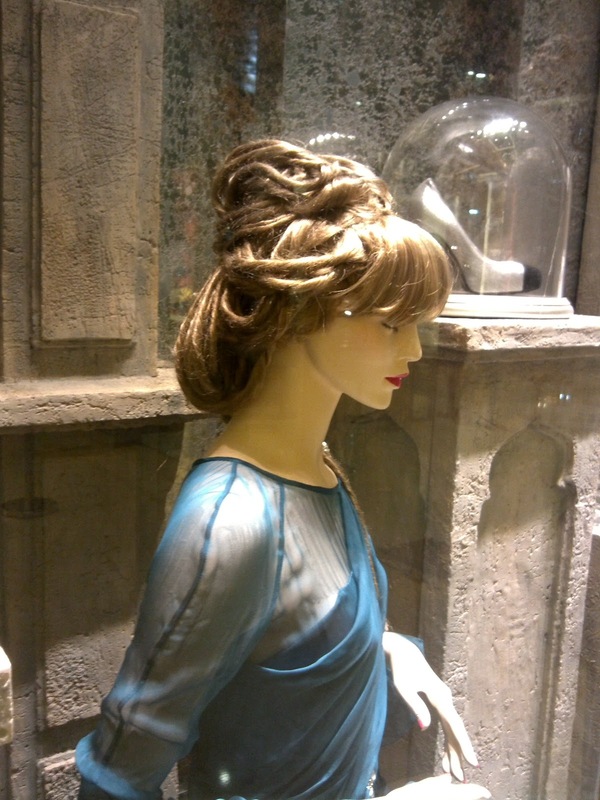 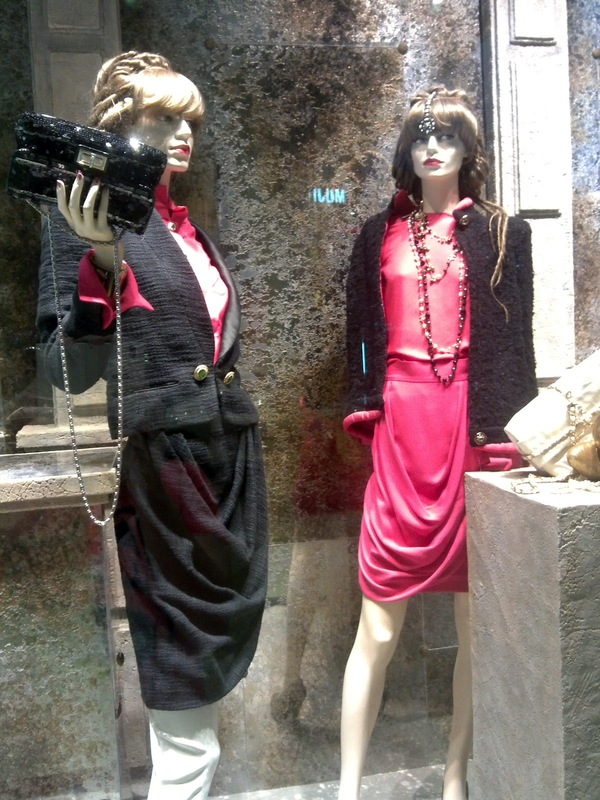 The mannequins are wearing the Chanel classic suits as well as dresses with hair styles that capture the show moment. 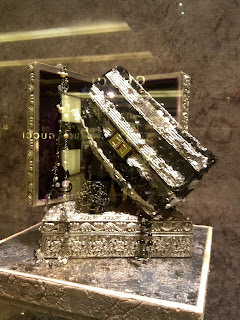 This display is so vivid and rich in detail. 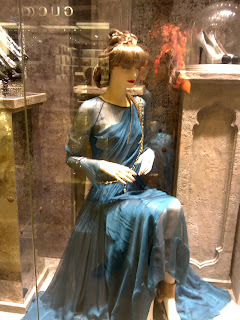 Splendid and marvellous.